Inspired by the 1985 hit classic Super Mario Brothers game, this is Our Plumber is in Another Castle. 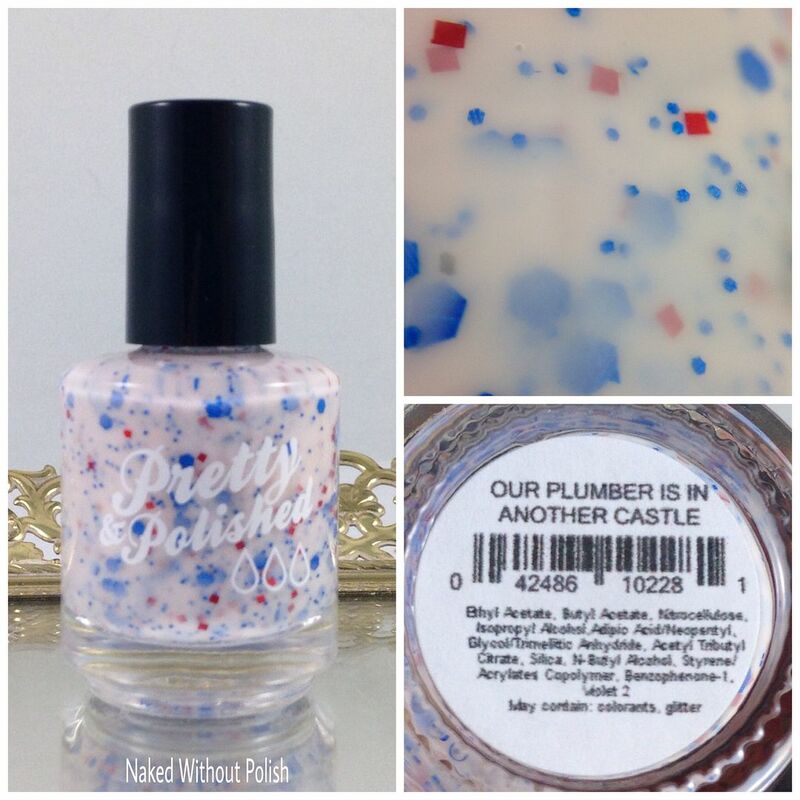 Our Plumber is in Another Castle is described as "a slightly off white crelly base packed with red and blue glitters". Shown is two coats of Our Plumber is in Another Castle with top coat. Our Plumber is in Another Castle is a jazzed up palate cleanser of sorts. 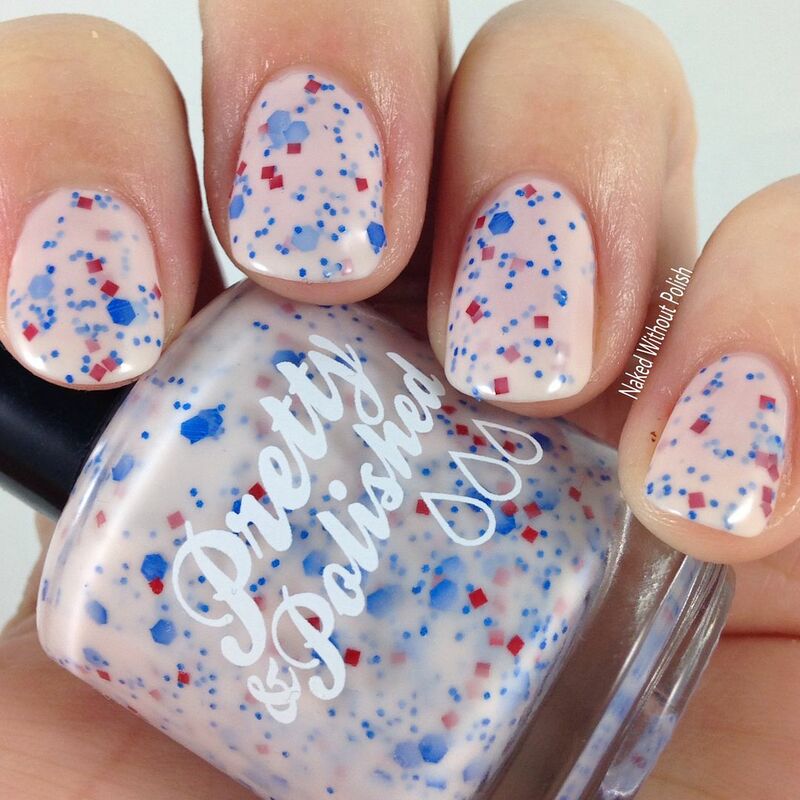 It's a great neutral, but the glitters are bright and fun. You get the best of both worlds with it. 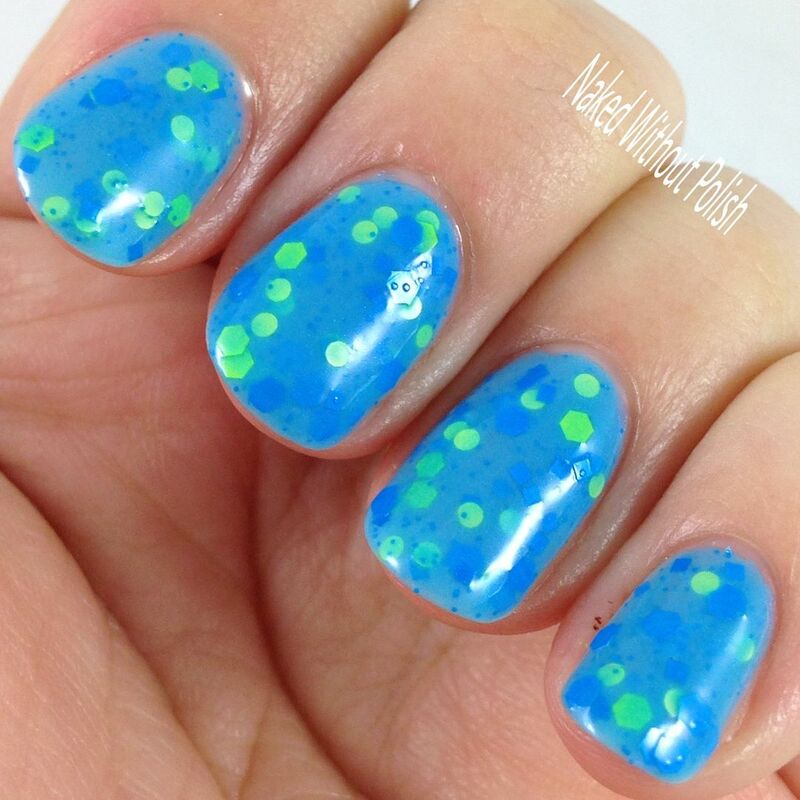 Easy application without streaks, and no having to fish around for glitter. 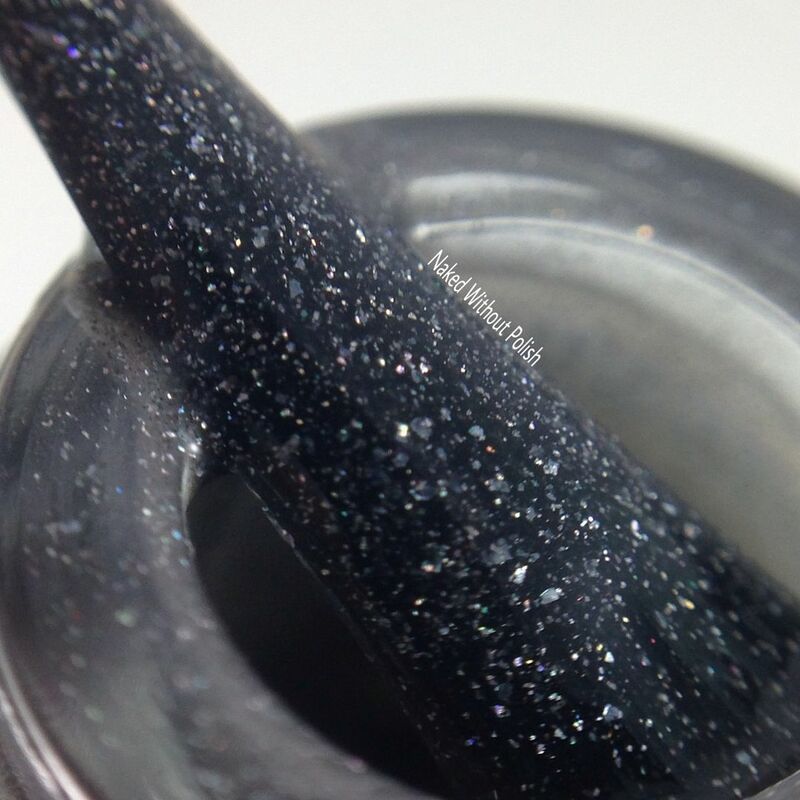 You get so much glitter out with each dip of the brush. No one does crellies like Chelsea does. 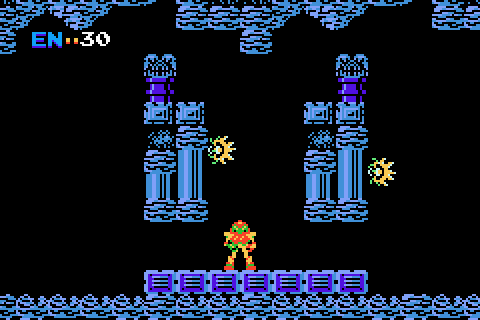 Inspired by Metroid and named after one of the first female protagonists in video game history, this is Samus it Ever Was. 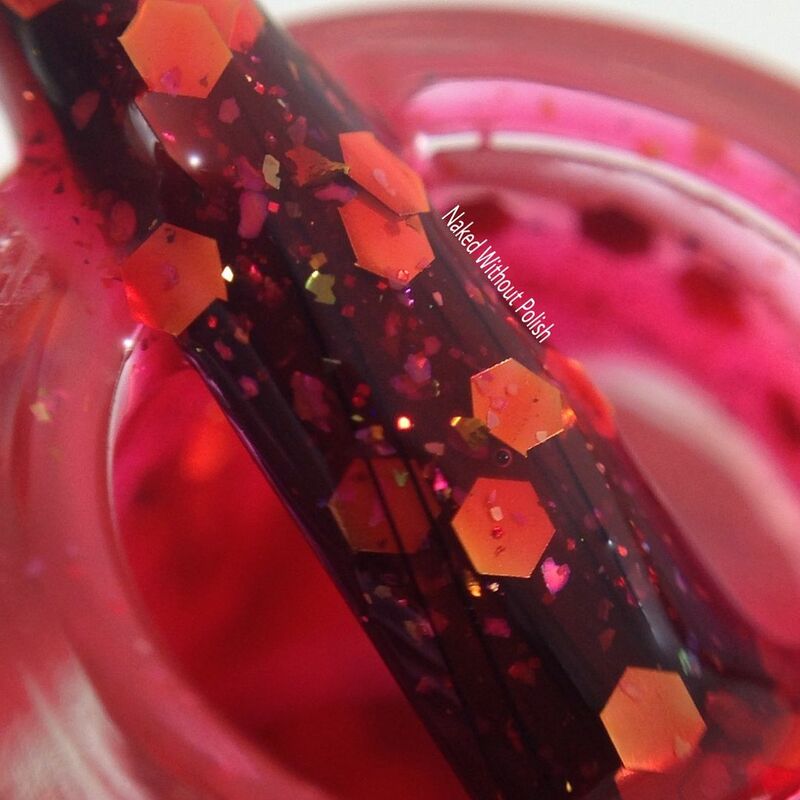 Samus is Ever Was is described as "a bright red jelly base packed with gold and color shifting flakes". 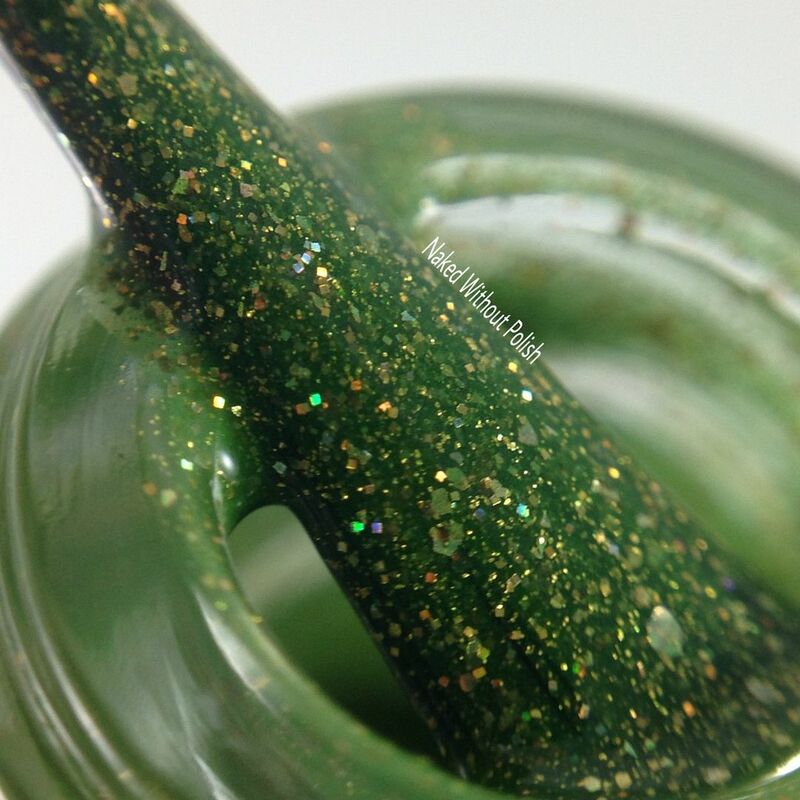 Shown is two coats of Samus it Ever Was with top coat. 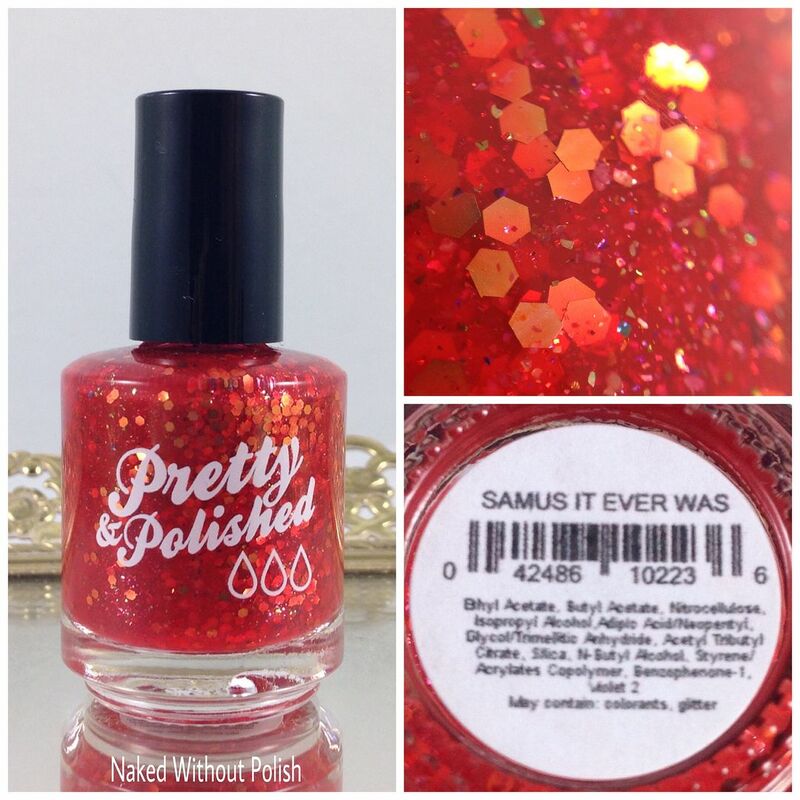 Samus it Ever Was is such a wonderfully strong shade of red. 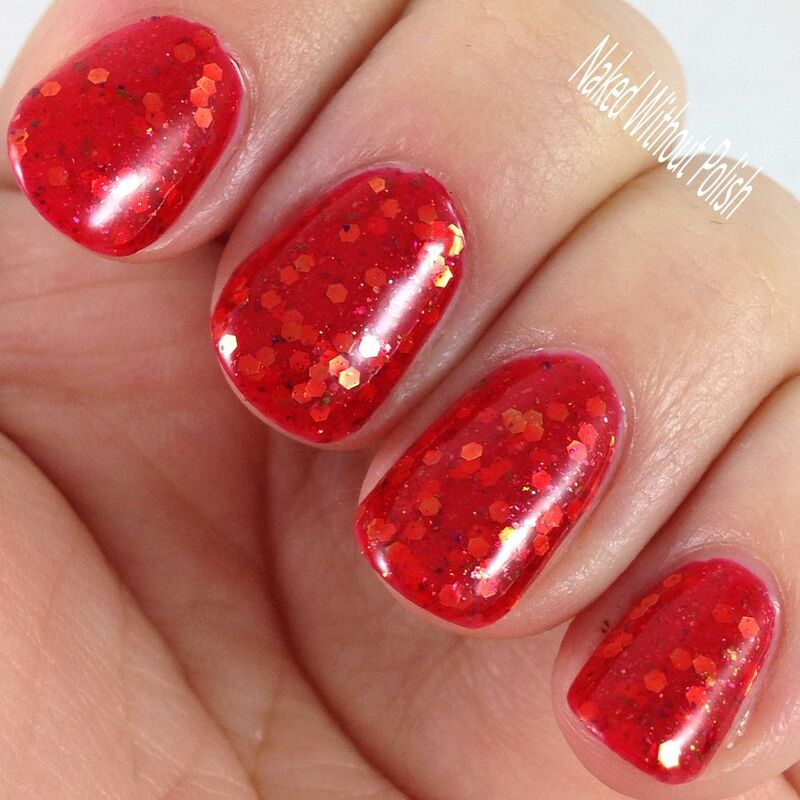 It is packed with glitter and flakies, but there is no issues with application. 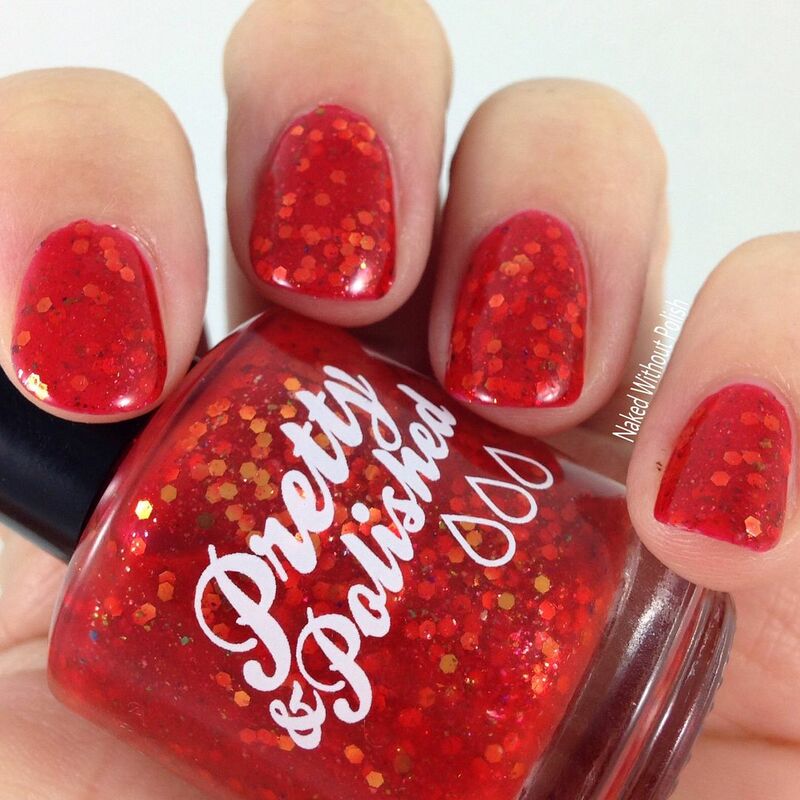 The combination of the color of the polish and the colors of the glitter is unique, yet familiar at the same time. Inspired by Mario's best bud and everyone's favorite dinosaur...Yoshi, this is Yoshi Flys Me Away. 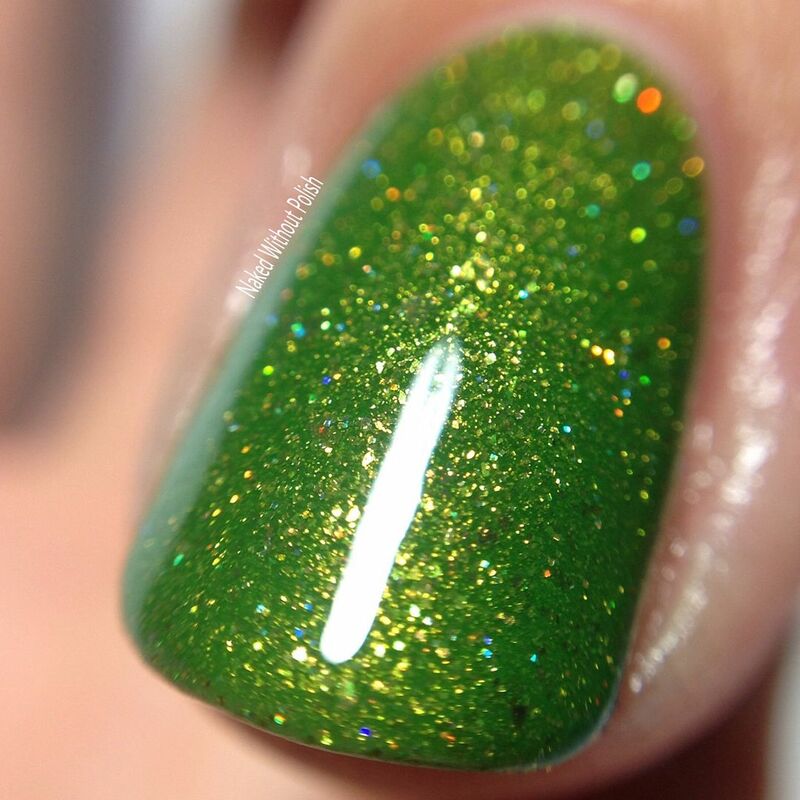 Yoshi Flys Me Away is described as "a light neon green base with neon green and dark green glitters". 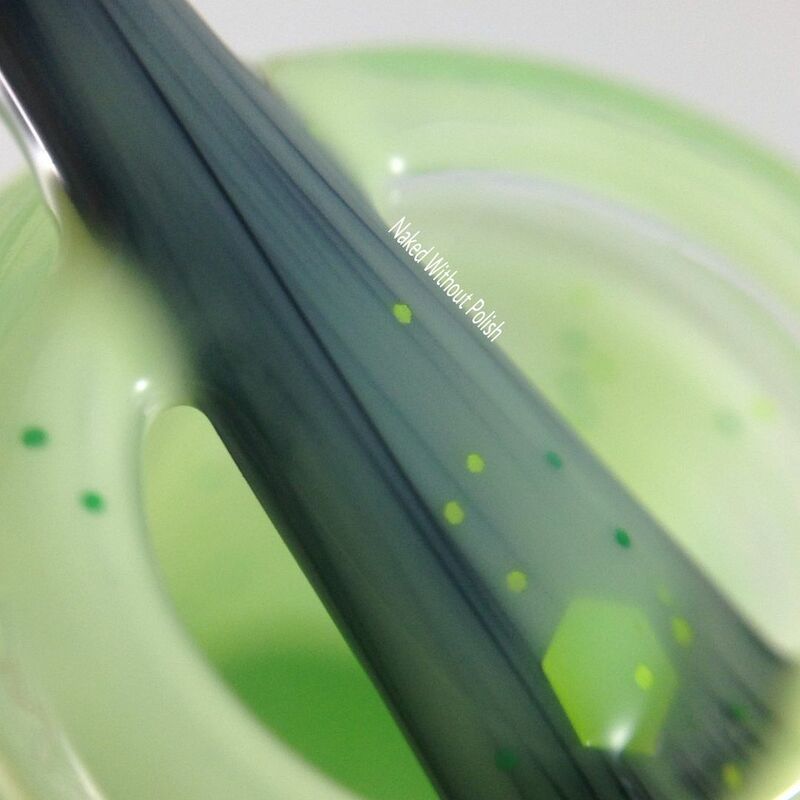 Shown is three coats of Yoshi Flys Me Away with top coat. Yoshi Flys Me Away is a crelly lovers dream! 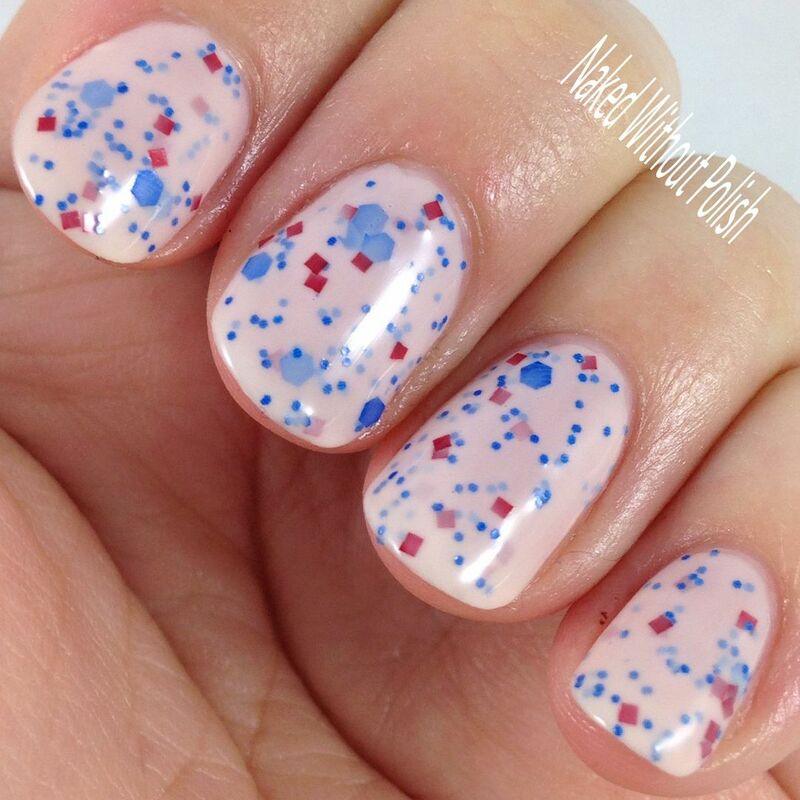 It did take three thin coats to reach full opacity but this color is so soft and dainty you won't think twice about the three coats. Then the mix of glitters adds a bit of a punch to the softness. 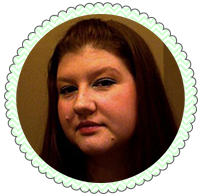 It will have you wishing for spring. Inspired by Legend of Zelda and the main character Link, this is If Hyruled the World. 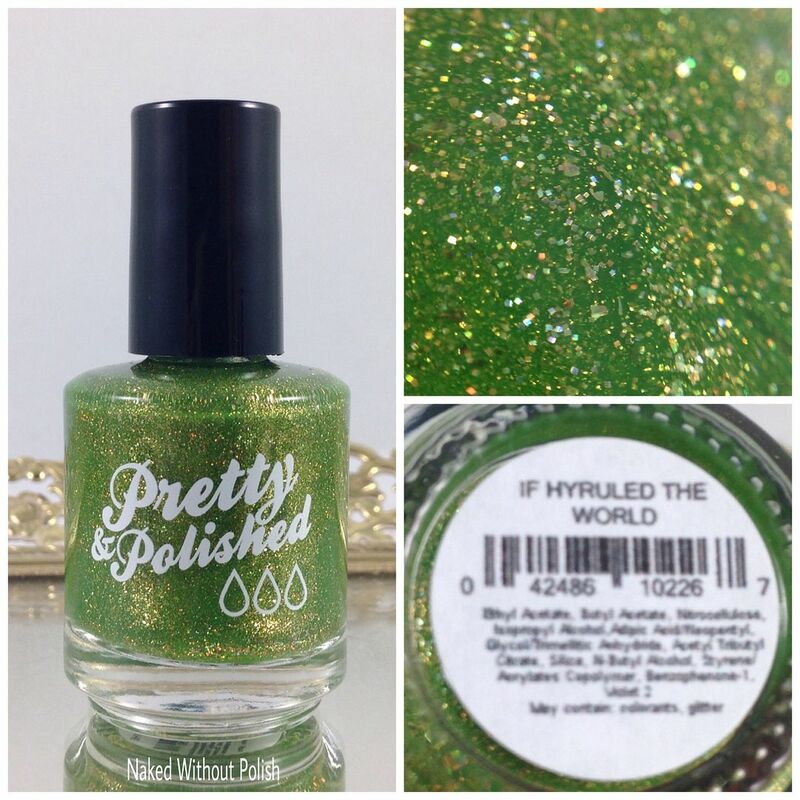 If Hyruled the World is described as "a medium green base packed with golden flakes and gold holo glitter". 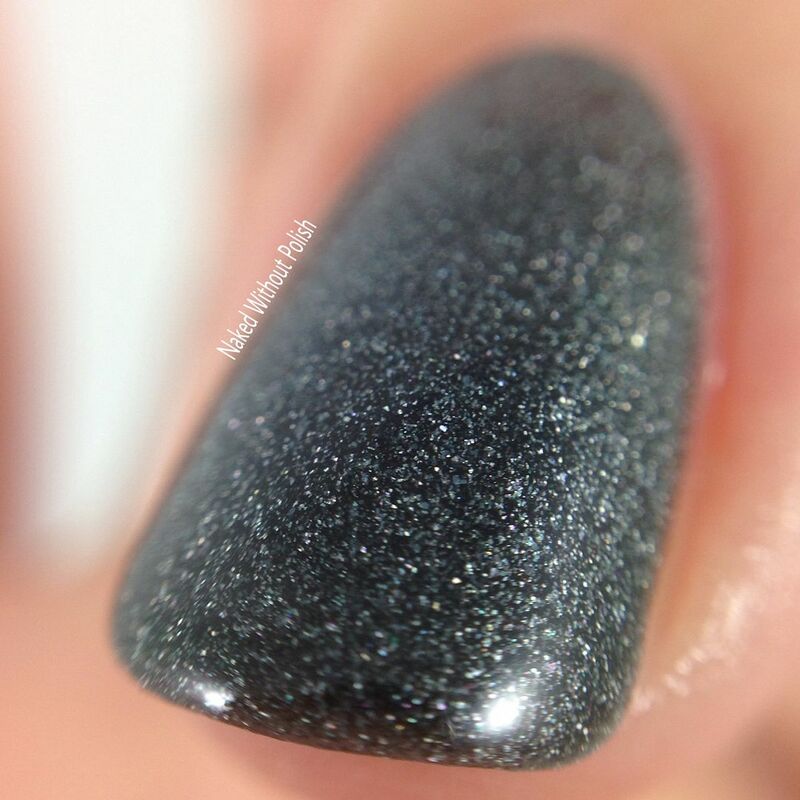 Shown is two coats of If Hyruled the World with top coat. If Hyruled the World is one gorgeous, green! 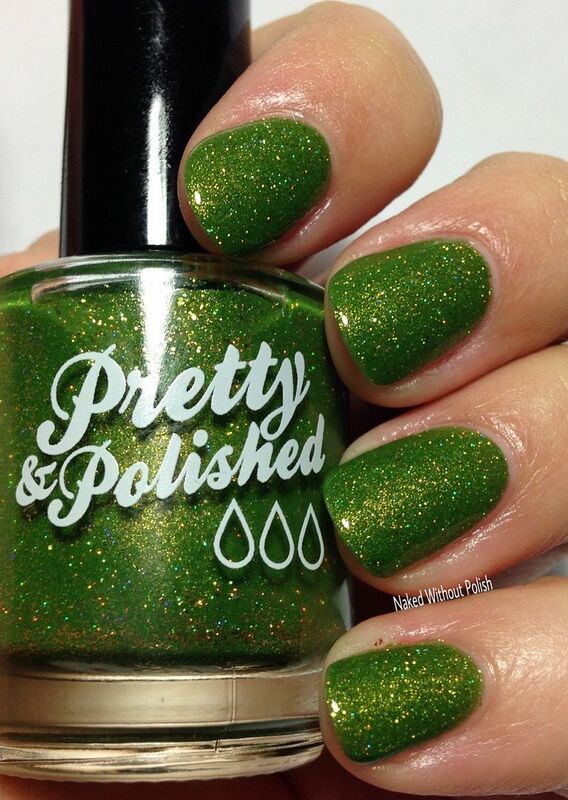 It is the perfect polish to be inspired by Link. 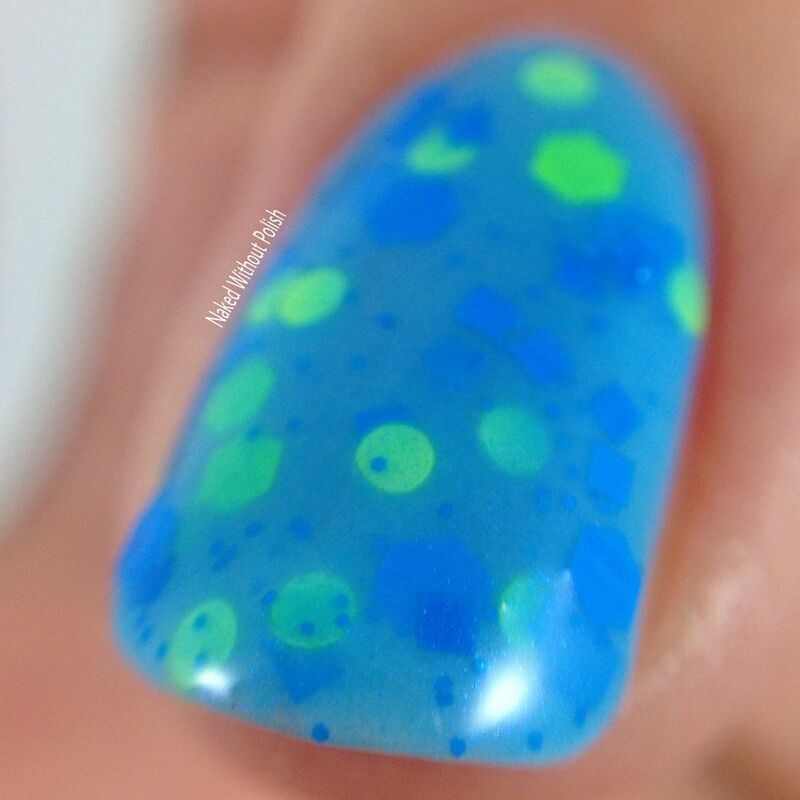 I thought this one was going to be sheer, but after two normal coats it was perfectly opaque. If you are a regular reader, you know I live for greens. This is an absolute must have in my opinion! Inspired by Fallout game series and the character Vault Boy, this is Who's That Mysterious Stranger?. Who's That Mysterious Stranger? 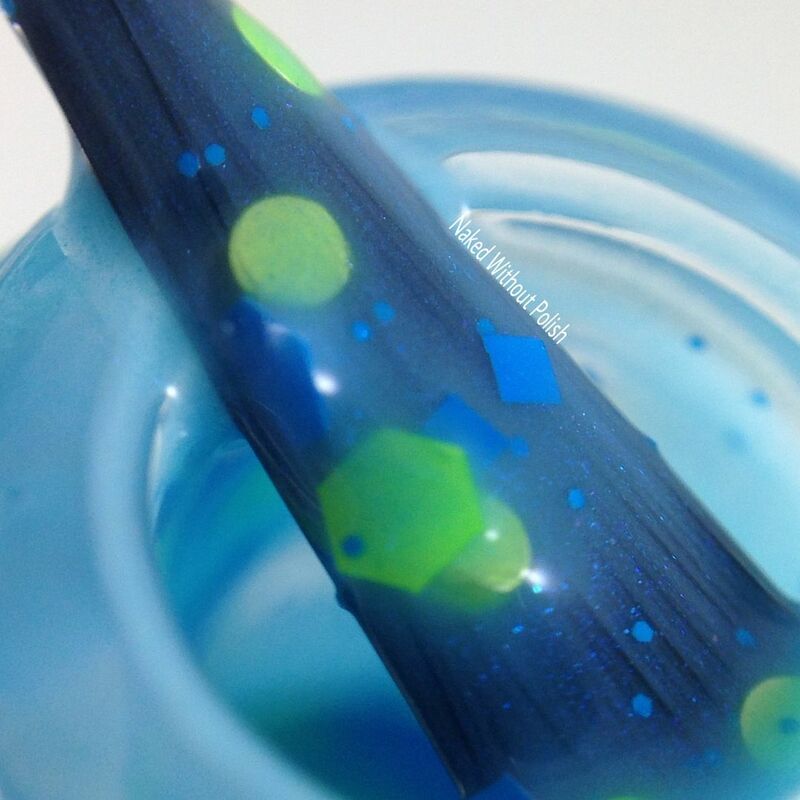 is described as "a light blue creamy base filled with yellow and blue glitter". Shown is two coats of Who's That Mysterious Stranger? 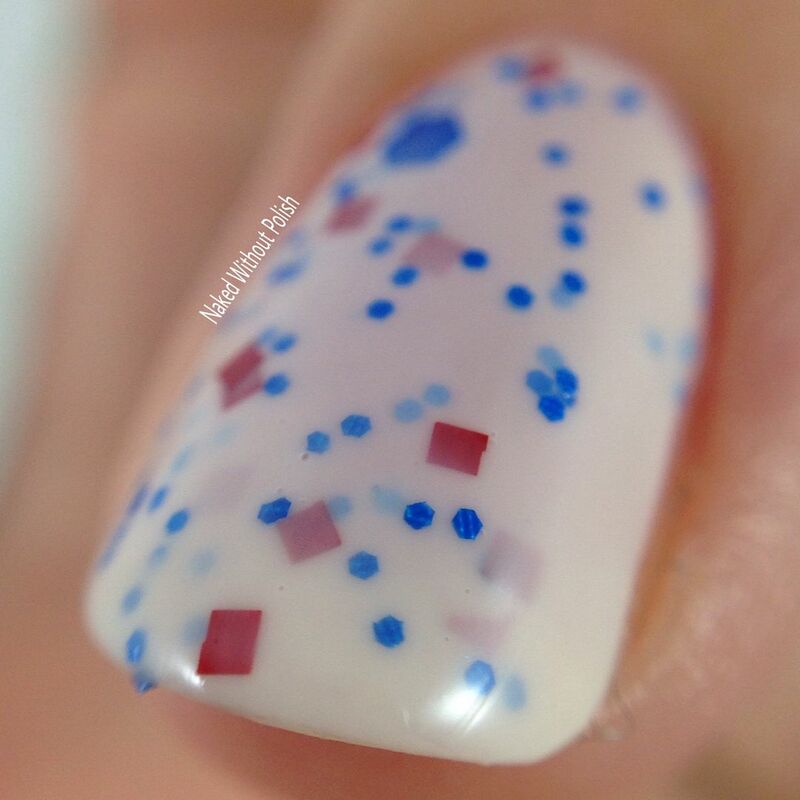 with top coat. Who's That Mysterious Stranger? just might be my favorite of the bunch! The blue, a bright robins egg shade, is enough to put a smile on anyone's face. Then the glitter just adds to the playfulness. 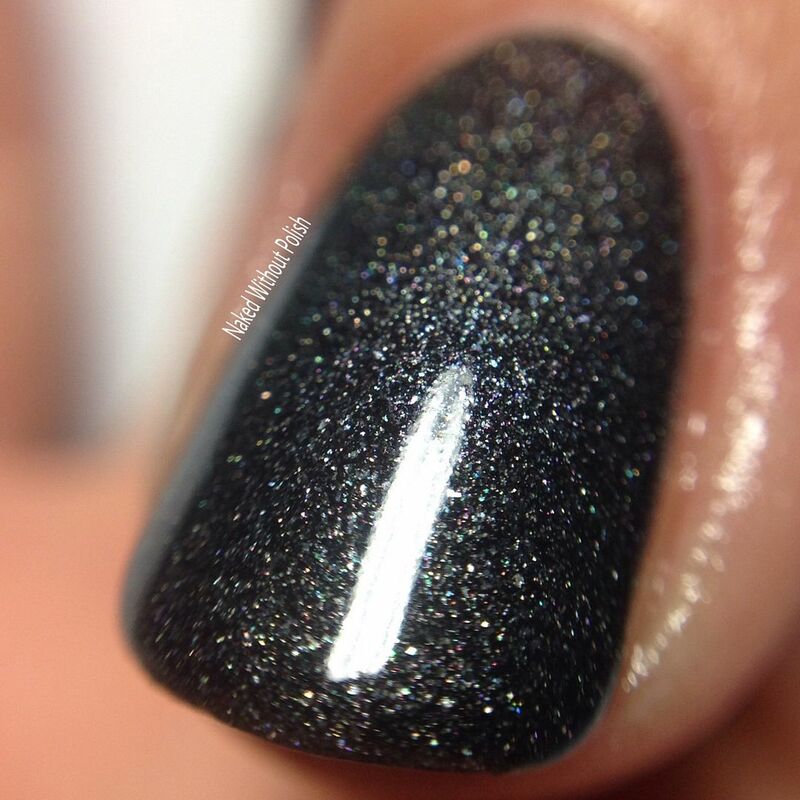 On top of there, there is a slight glass fleck to add just a hint of shimmer. It may be packed with glitter, but I didn't have any issues with application. She knew what she was doing! Inspired by Skyrim and named after the main character, this is Dragonborn to Be Wild. 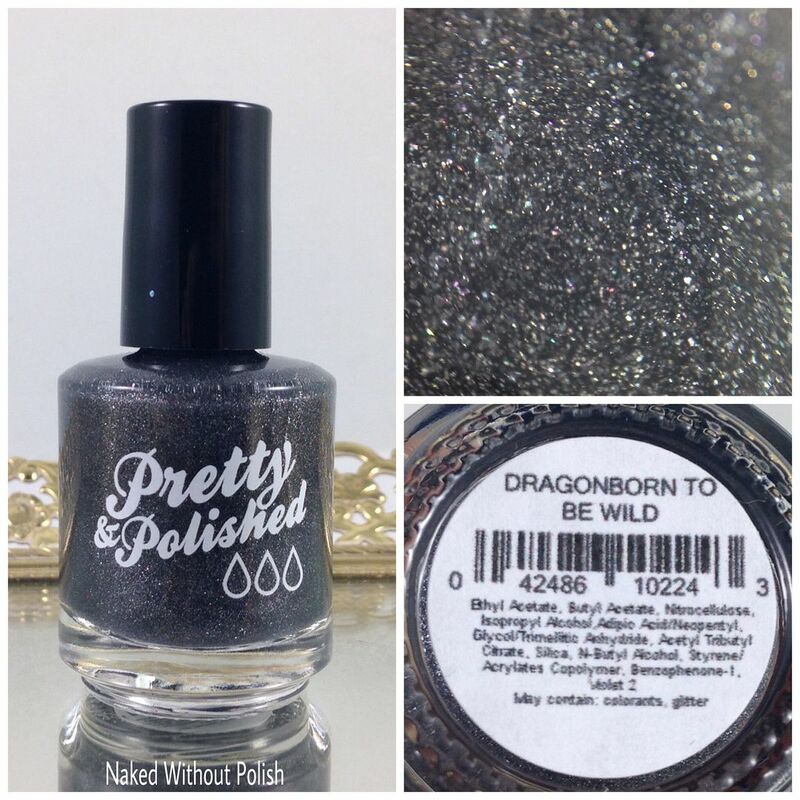 Dragonborn to Be Wild is described as "a dark gray to light gray color changing polish packed with tiny micro glitters in different shades". 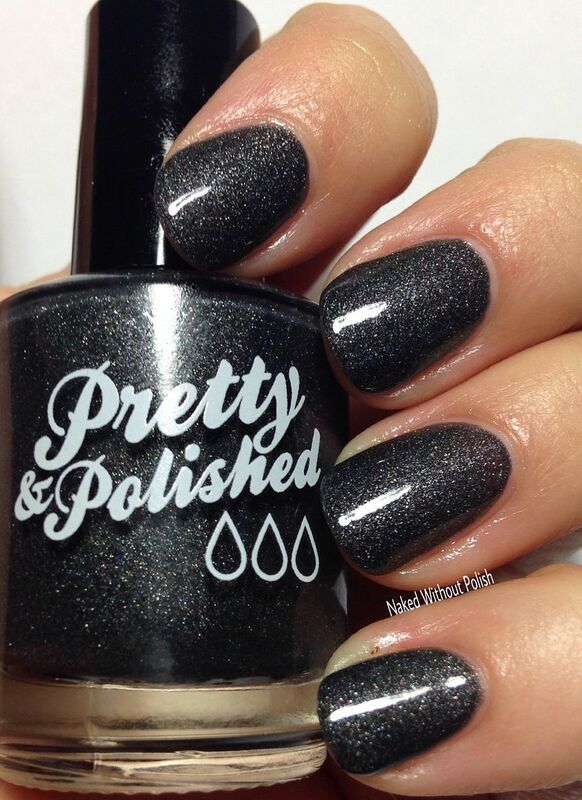 Shown is two coats of Dragonborn to Be Wild with top coat without manipulation (cold). 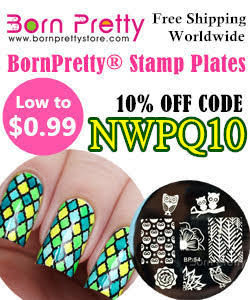 Dragonborn to Be Wild is definitely a polish that needs to be used in some nail art. 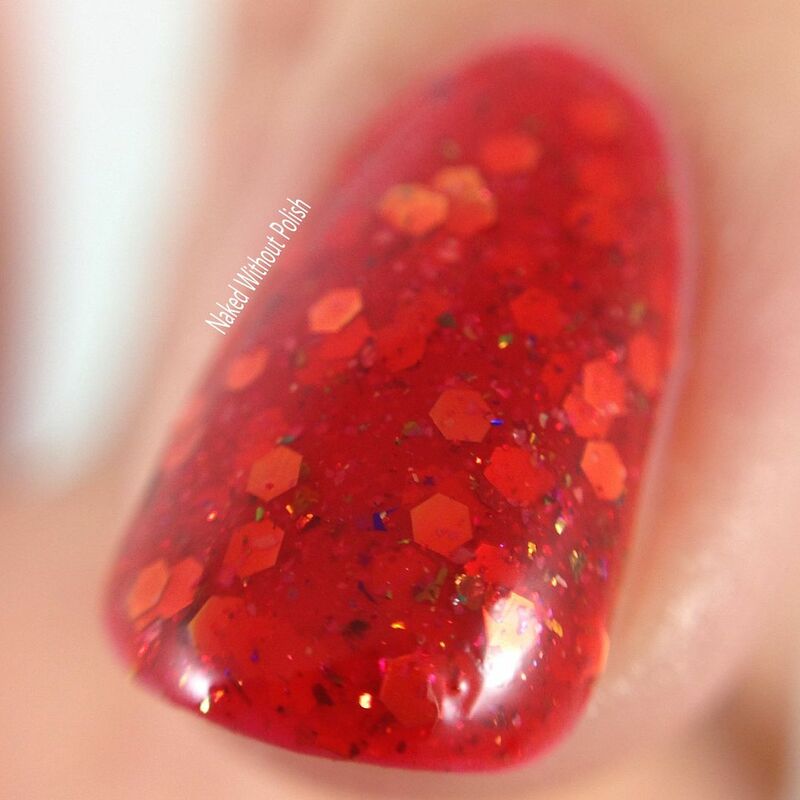 It applies smooth and is fully opaque after two coats, however when it is warm it is more sheer than I was expecting. I will probably apply three coats next time so that it won't be very sheer when warm. It changes almost instantly, so you won't have to wait around long for that. The Iconic Video Games Collection will be available to purchase at www.shopprettyandpolished.com on January 1st, 2017. 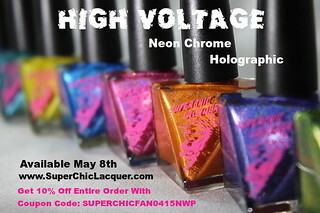 The individual polishes will range from $8.50 to $9, but you can purchase the whole collection at a discount for $48. She did such a great job bringing each of these inspirations to life! I love how each of these can be so different but they still make a wonderfully cohesive collection. Make sure you are following Pretty & Polished on all of her social media platforms (links below) to stay updated on news, releases, and sales. What do you all think of these? Do you have a favorite video game you'd like to see represented in a collection like this? What is it and what would you like it to look like?